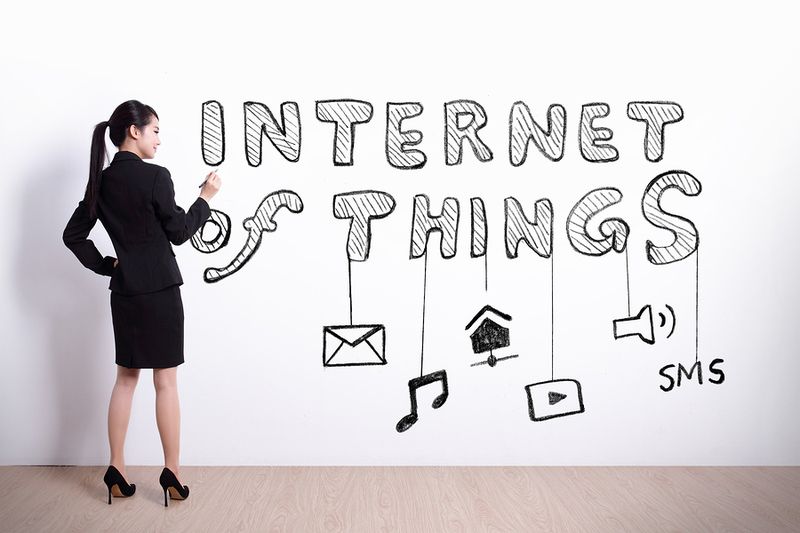 Have you given much thought to the Internet of Things (or IoT for short)? While the concept isn’t exactly brand spanking new, advances in wireless connectivity and mobile technology have made the process easier and cheaper. These innovations have resulted in more people taking a good look at the Internet of Things for the first time. If this concept is new to you, then a quick definition is in order. The Internet of Things involves objects like appliances, electronics, even household pets, having an Internet connection, an IP address, and a sensor. Data collected by the sensor is transmitted to the desired source without any human intervention required. So, for instance, the sensor on your furnace may send usage data that eventually results in a furnace maintenance company sending you a special deal on a tune-up. Your bathroom scale could conceivably rat you out if your weight is increasing, netting you coupons for certain low-fat foods! Granted, that latter example may be a bit far-fetched, but it’s not too off-base. And who’s to say where the IoT will take us a few years down the road? As the article “Is the IoT for Your Organization?” points out, there are two main ways in which your business may end up engaging the Internet of Things. First, there’s the internal use, where IoT can help in improving a company’s operations. Second, there’s customer relations, which arguably holds the greatest potential for reward. Fortunately, the Internet of Things is flexible and economical enough that it doesn’t have to be an either/or situation. In fact, one could make a good case for implementing both internal and external usage. After all, if used properly, the externally engaged IoT will increase sales and get you more customers. That means that your company will need to have the capacity to handle more orders and achieve a rapid turnaround, lest you end up losing those new customers! Internally, your point-of-sale scanners could be connected to your inventory control and warehouse systems, making sure that you never run out of the desired goods. After all, if you don’t have the item in stock, that’s potentially a lost sale. Building sensors can help you determine things like optimal environmental controls such as heat and air-conditioning, thereby cutting waste. The Internet of Things also helps in making automation easier, as each piece of equipment can send data to a central control. Fortunately, this doesn’t mean a loss of jobs; those old positions would be replaced with new posts that are required to maintain and gather the data. Externally speaking, the Internet of Things’ sensors help you to collect data from your customers, in particular, factors such as their shopping habits, preferred brands, even which stores they visit. After all, most smartphones have a GPS system, and those sensors send data that can be mined. All of this information, whether related to internal or external operations, falls under the umbrella of Big Data. That’s why if your business is going to use the Internet of Things, it will require employing Big Data and the means to gather and analyze the desired data. The Internet of Things is just starting to gather its head of steam. It will be fascinating to see how it changes businesses in the next ten years. If you plan ahead, you may end up benefitting from it sooner rather than later. For more insights into the Internet of Things, check out “Know Benefits and Security Risks Of Internet Of Things For Small Businesses”.